Just a couple of reviews this week, both from my catch up on 2018 titles. In this fact based drama, Kate Mara plays Megan Leavey, who, at 20, joins the Marines out of a sense that her life isn’t going anywhere. She ends up training as a dog handler, paired with a bomb clearing dog named Rex. Megan and Rex are injured while clearing a field of mines. In danger and with another dog unit hours away, they carry on but are reinjured. Back home, Megan leaves the Marines but wants to adopt Rex. It’s fair to say that Megan Leavey is a hero. She won the Purple Heart for her actions with Rex in Iraq. Gabriela Cowperthwaite’s narrative feature debut (following two feature documentaries including the acclaimed Blackfish) is a respectful, if straightforward, biopic that hits most of the notes you’d expect, but does them well and without too much cloying sentimentality. One of the film’s biggest strengths is Kate Mara, lately overshadowed by her sister, this film should have done more to establish her. Mara’s Leavey doesn’t seem to have to sacrifice her identity as a woman, but she’s still able to give as good as she gets with the guys she’s working with. Mara does this tough side of her character well, while also showing us the cracks as Megan struggles to fit back in to civilian life and particularly to life without Rex (a relationship the film clearly regards as the most important it portrays). The film’s screenplay paints in fairly broad strokes, but Cowperthwaite gives the Iraq set scenes of Megan and Rex clearing areas before other soldiers are allowed in an effective tension. She also proves an adept actor’s director, getting a nice playfulness out of Megan’s relationship with fellow dog handler Morales (Ramon Rodriguez). The scenes back at home are equally nicely played and we feel real empathy with Megan as she tries to adopt Rex. 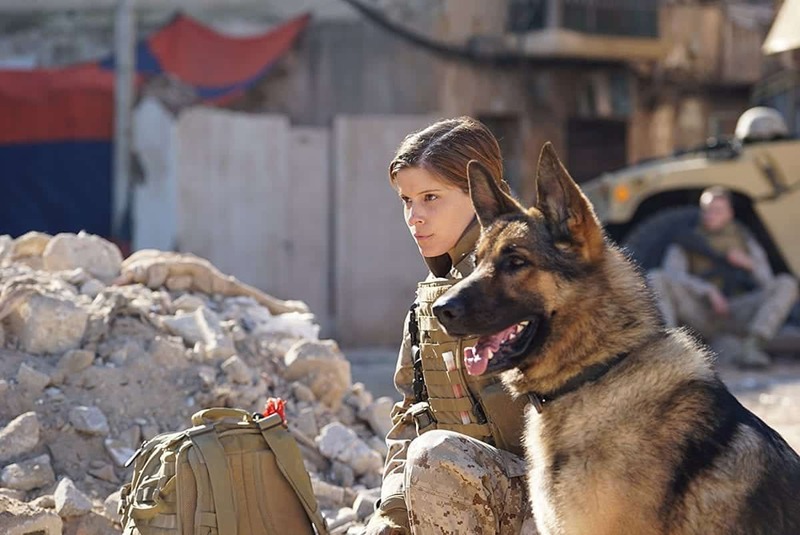 Overall, Megan Leavey is good solid work all round, but there’s not much to make it stand out from the crowd outside a strong performance from Kate Mara. Ito (Joe Taslim) is one of the ‘six seas’: elite fighters charged by the triads with protecting their drug and weapons business and with doling out punishment where it’s needed. One day, after destroying an entire village as punishment for a few of their number stealing from his bosses, Ito has an attack of conscience and saves a little girl named Reina. 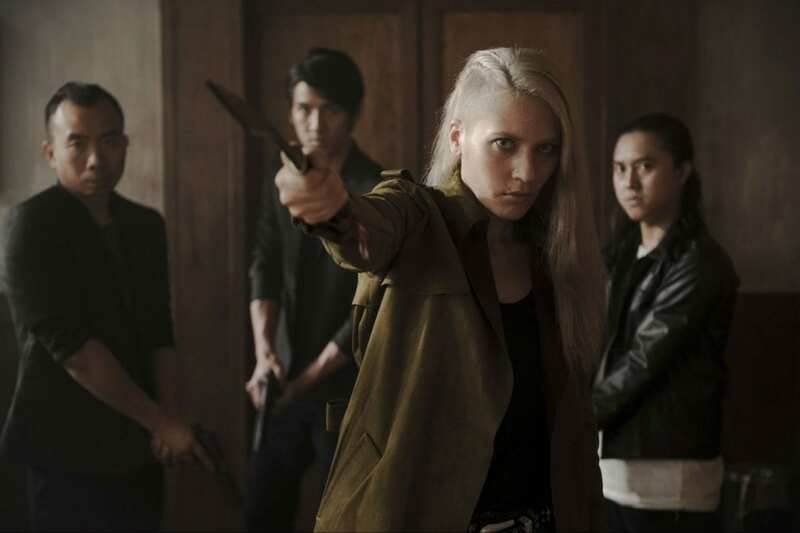 This one act brings the full force of triads – led by his old friend, and six seas replacement Arian (Iko Uwais) – down on him and his few remaining friends. It’s not that I don’t care about the plot of a martial arts film, it’s nice to feel engaged with the story and characters, but it’s not the first thing I look for. Timo Tjahjanto’s screenplay provides a solid setup but the characters he peoples it with are fairly thin, we get a little background into the friendships between Ito, Arian, Bobby (Zack Lee) and Fatih (Abimana Aryasatya) but they, as much as most of the other characters, are largely there as bodies to advance the plot just enough to get us to the next time everyone is fighting. I don’t mind, because the fighting is why we’re all here and it is, for the most part, glorious. Real fights aren’t pretty, they tend to be scrappy and short. Movie fights, especially in martial arts films, often tend more toward dance, with intricate moves that are precisely choreographed not just for visceral impact or aesthetic beauty but often also to advance plot and character. Tjahjanto and Iko Uwais, who serves as action coordinator as well as an actor, manage to square a difficult circle; giving equal space to the brutal and chaotic nature of a real fight and the breathtaking design of a movie fight. At times, the film takes the brutality too far, with absurd extremes of gore that have you questioning how the characters are continuing to fight (or live), in a way that the comedic tone of, say, a Jackie Chan film, never has you ask. That aside, every fight sequence is a treat. The moves are fluent and inventive, with great variation and smart use of props. Better still, Tjahjanto largely stands back, allowing fights to play out without cutting between six different body parts in a single move or shooting in close up shakyvision. Uwais and Taslim are the leads, and the names, but while their fights are great, several of the film’s best punch ups belong to other characters. The all out assault on the house where Fatih and Bobby are protecting Reina is a sequence most other martial arts films would be proud to have as a finale, never mind an end of act one sequence. Also a contender for the film’s high point is Julie Estelle’s showcase, facing off against two elite female fighters (Hannah Al Rashid and Dian Sastrowardoyo). Estelle stood out in The Raid 2 as Hammergirl and in Headshot. Again, she threatens to steal this film in just a few scenes. Someone give her her own vehicle. The Night Comes For Us isn’t going to win many converts, but it will please lovers of martial arts movies and have them hoping that the hints that Timo Tjahjanto has dropped about it being the first of a trilogy are true.